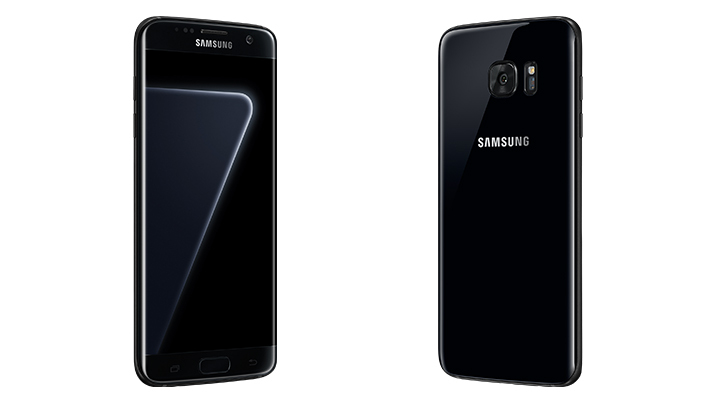 Today, Samsung announced the Black Pearl color variant of the Galaxy S7 edge. The seventh new color of the Galaxy S7 edge will come with 128GB of internal storage, with the device releasing in limited markets on December 9th. Samsung states that the “glossy new colorway” was “designed to be modern and striking” and “radiates quality and luxury.” The Black Pearl Galaxy S7 edge will help Samsung take on the Jet Black iPhone 7 and iPhone 7 Plus which seem to have been a runaway success among consumers. The new color will help Samsung in boosting sales of the Galaxy S7 edge in the ongoing shopping season. The black hue covers the entirety of the handset, including the metallic chassis and its edges. However, Samsung has not revealed where the phone will be sold and the pricing is also not disclosed, but considering that it comes with 128GB of internal storage, I’d expect the Black Pearl Galaxy S7 edge to be more expensive than its other 32GB sibling.